GENEGIS GI is an Italian SME that operates for over a decade in Geographic Information Systems (GIS) and more generally, in the field of geospatial computer applications, developing custom projects for every need. The company’s mission is to create specialized solutions aimed to the integration of geographic and spatial information in company information systems, at any scale and level of detail, contributing to the greater competitiveness of its clients. The company works especially on integration between GIS and other advanced technologies and dedicated systems existing in some market areas: environment, utilities, transportation, modeling and so on. GENEGIS GI covers all the stages of a Geospatial project, including: Design, Development, Implementation, Commissioning, Data-processing, Training, Assistance, Application Management, Outsourcing. 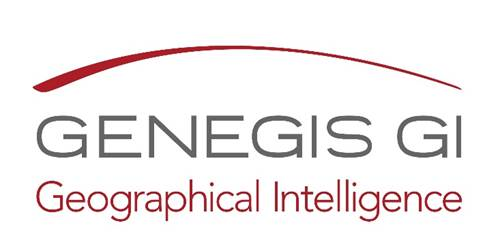 GENEGIS GI is technology neutral and is able to provide all services using all available Geospatial technologies, including: ESRI, Intergraph, Bentley and state-of-the-art Open Source solutions. Recently GENEGIS GI has expanded its business fields by hiring personnel with skills and long experience in satellite imagery interpretation, remote sensing (Lidar, etc. ), Laser scanning operations and data integration from different sensors (UAVs, Drones, etc. ), in order to offer a complete Value Chain in Geospatial sector, including all GIS and RS services from data acquisition, development and maintenance. Personnel are currently joining technical partnerships and professional certifications with the most advanced and used technologies (such as ESRI, Intergraph, TOM-TOM, FOSS4G, Bentley, e-Spatial, CADCORP, Autodesk, Oracle, Microsoft, Safe Software, Java). GENEGIS GI has acquired a long-standing experience in global market, operating for the main International Agencies like World Bank, European Union, UNDP, USAid, etc. in more than 20 countries.